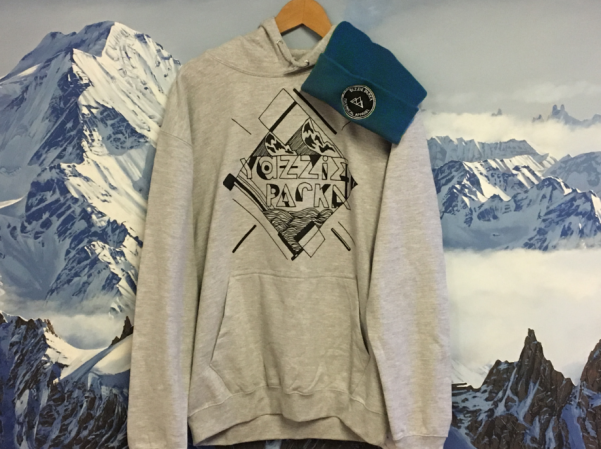 Catered Ski Chalets have partnered up with one of the ski world’s most stylish start-ups – Yazzie Parka – in a brand new competition hitting Instagram now. The prize pack includes a brand new unisex heather grey hoodie in size large (£40) and a one-size-fits-all beanie (£15). One lucky winner will be looking sharp on the snow this winter! Yazzie Parka is a bold start-up brand producing outdoor technical apparel from their workshop in Essex. The collection includes sweatshirts, hoodies, tees, snoods and beanies – basically everything you need to stay snug on the slopes. Our latest comp will run from the 6th to the 15th November, and you can see more on the prize by checking out Yazzie Parka online. For your chance to win the brand new kit from Yazzie Parka, just follow @cateredskichalets on Instagram and tag 3 mates into the competition post which can be found here! The lucky winner will be selected at random and announced at 2pm on Wednesday 15th November. Good luck! 1. The promoter is: Catered Ski Chalets, the sister brand to Interactive Resorts Ltd (company no. 05376659) whose registered office is at The Coda Centre, 189 Munster Rd, Fulham SW6 6AW. 2. Employees of Interactive Resorts, their family members or anyone else connected in any way with the competition shall not be permitted to enter the competition. 4. The competition entry route and details of how to enter can be found here. 5. The closing date for entry will be 12.00 noon on 15th November 2017. After this point in time, no further entries to the competition will be permitted. 7.1. The supplier of the prize of this competition is Yazzie Parka. 7.2. The terms and conditions of the prize provided by Yazzie Parka are below. 7.2.1. The prize provided is a blue beanie and a heather grey hoodie (large). 7.2.2. This prize is non-reimbursable and non-transferable. 10. No cash alternative to the prizes will be offered. 11. The prize winner will be selected at random from all the valid entrants. 12. The winner will be notified by phone within 48 hours of the closing time. If a winner cannot be contacted within 48 hours of initial contact, the promoter reserves the right to withdraw the prize from the original winner and to pick a replacement winner. 13. The prize will be sent out to the winner within 2 weeks of receiving their postal address. 16. The competition and these terms and conditions will be governed by English law and any disputes will be subject to the exclusive jurisdiction of the courts of England. Winners of all prizes must be UK residents. 17. The winner agrees to the use of his/her name and image in any publicity material. Any personal data relating to the entrants will be used solely in accordance with current UK data protection legislation and will not be disclosed to a third party without the entrant’s prior consent. 18. By entering this competition and submitting their email address, the entrant is indicating his/her agreement to be added to Interactive Resorts and Catered Ski Chalets newsletters for exclusive ski deals. We do not send spam.